Is testing on primates still needed? In a small, bare, windowless room in Newcastle University's Institute of Neuroscience, Ukiah, a six-year-old macaque monkey, is playing a computer game. Strapped into a specially-designed primate chair, Ukiah stares intently at the monitor in front of her, trying to line up a yellow ball with a red target that skips around the screen. Her attention is only broken when she succeeds and looks up to receive a piece of fruit as a reward from the lab technician standing at her elbow. Clearly Ukiah has done this before. She's good at it, and wins a lot of fruit. In fact, the only really disconcerting thing about the whole experiment are the wires trailing from the metal cranial implant (it looks a bit like a small tin can surgically attached to her head) to a battery of computer processors on a rack in the corner of the room. This is the business end of the experiment. Dr Andrew Jackson watches closely as the individual neurones firing in Ukiah's brain as she moves the cursor are displayed on yet another screen. "So we're interested in understanding how the brain controls movement," he says. "What goes wrong after an injury to different parts of that system and in developing new treatments to restore movement function to people that have been paralysed by those injuries." The research needs to be done in primates, rather than rats or mice Dr Jackson insists, because monkeys use their forelimbs and hands to manipulate objects very much like we do. The architecture and physiology of their brains are correspondingly similar to our own. "Primates have this very direct connection from the cortex to the spinal cord," says Dr Jackson. "Other animals, like rodents, don't. So if we want to develop technologies to restore this pathway after it's been lost, non-human primate research is vitally important. But not everyone is convinced. A paper published by the animal rights charity Cruelty Free International argues that advances in neural imaging, computer modelling of the brain and studies of cell cultures in the lab, raise serious questions about whether experiments involving non-human primates are really necessary. The charity's chief executive Michelle Thew believes it is time to abandon the research. 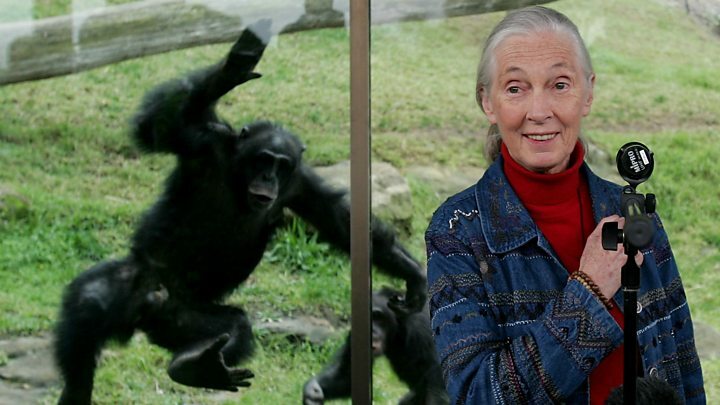 "Primates are not good models for humans," she says. "You can do a lot of the same kinds of research in humans that actually suffer from the conditions you're trying to study: diseases. If you want to look at a condition that effects human beings use human relevant medicine". Cruelty Free International's claims have been rejected in an open letter now signed by more than six hundred scientists actively involved in animal research. It argues that the continued use of non-human primates is crucial to medical progress, and that stringent regulations mean every effort is made to keep both the number of animals used and suffering to a minimum. Professor Matthew Rushworth's work at Oxford University is a case in point. Professor Rushworth is using neural imaging to study decision-making in the brain. But by using a new technique - transcranial magnetic stimulation - in human subjects, he has been able to dramatically reduce the number of primates involved in the study. "This new technique allows us to disrupt the activity of the pre-frontal cortex temporarily in human volunteers," he says. "That means we can study what's going wrong when decision making breaks down. So it's only when we're not able to use transcranial magnetic stimulation that we move to animal models." And things have changed. Conditions in the animal facilities at both Oxford and Newcastle are more like something you might expect to find in a zoo, with animals housed in social groups and with a variety of perches, interconnecting passageways and secluded areas where the macaques can get away from it all. That, according to Dr Andrew Jackson, is because the welfare of the animals is vital to the science. "The last thing we want is an animal that's upset or stressed" he says. "If Ukiah wasn't happy she wouldn't carry on working like this. She would vocalise, she might try and struggle. And that's no use to us as scientists. We can't do our science if the animal is not co-operating". Do lab monkeys suffer from depression?